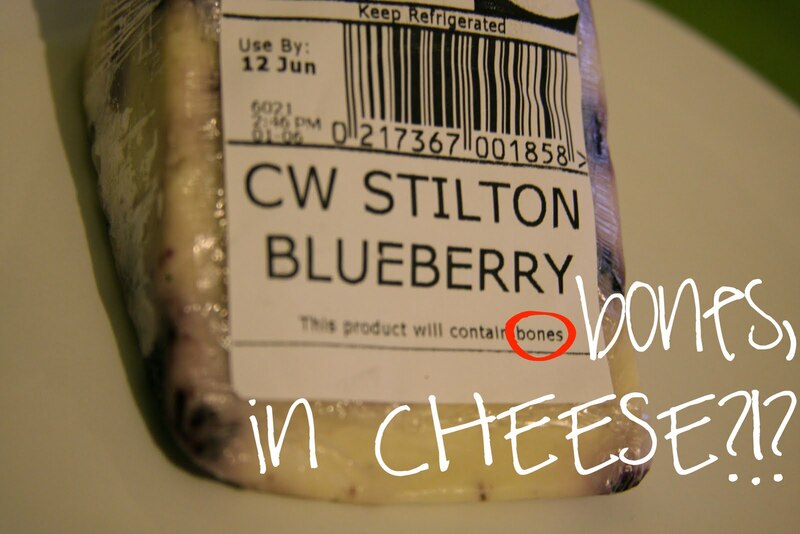 This is an actual package of cheese I bought the other day...that I apparently have to look for bones in! 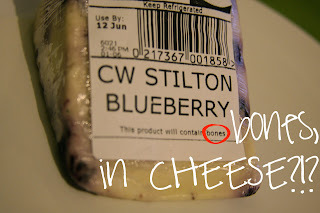 So far no bones...as for blueberries in cheese, I am liking it! That is disgusting that there may be bones in the cheese. Where would they get the bones from?